First let’s make some assumption: what do we want? We want to create a web site on our QNAP NAS and publish it within the domain (plain domain, no hosting) we have just bought. And we want people to write in the browser mydomain.com and not something complicated, with ports or long addresses. And we want it secure, so that any browser doesn’t give us back security warnings. Easy to explain, isn’t it? So, problem is: there are a lot of possible configurations you can stumble upon in internet and lot of reasons for people to push you in a direction or another. So there is no a good-for-everyone solution. 1. you can choose to make a 301 redirection, so called “permanent” and expose to everybody your real IP address; let’s make an example: you buy the domain mydomain.com but you want to redirect it to your QNAP (IP 1.2.3.4) where your web server has been installed. People will type mydomain.com into the browser address bar and than the system will bring users to 1.2.3.4 . And the address bar will show everybody 1.2.3.4… What??!! Yes, since it’s a permanent redirect, the domain hosting will expose the address you wrote them to redirect to. 2. you can choose to make a 302 redirection, a “temporary” one, but nothing will change from the permanent, so we are in the same situation. 3. and so, desperate, you choose to make the last choise, a frame redirection, so that your IP should be covered by the so called “iFrame”… unluckily for you, not every web site will accept it, so WordPress, or Joomla, the two largest community of personal pages, will not work and result you with a blank page. As I explained in the above paragraph, a “redirect” solution for domain hosting is not a wise solution, so what we can do? We have to buy the domain with just the plain “manage DNS” solution, that’s the way. This option will – by default – link your newly bought domain name to a web page hosted onto your domain register company and will bring you to a generic page (more of the times it’s something link “page under construction”) and you have to change it pointing it to your QNAP IP address. To make it you have to change the hosting DNS (do not think of using your own DNS unless you know what you’re doing. Use and manage the DNS provided by the Domain Register. Basic explanation is: the master “A” record will bring everyone writing in the browser your mydomain.com address to your IP. The “CNAME” record will create an alias that will link the www.mydomain.com address to your main record and so to your IP. This is all you need to do for configuring DNS and Domain to point to your mydomain.com. If you want to use your QNAP without SSL (so using a not-anymore-considered-secure http) you can end reading here and go configuring your web page. 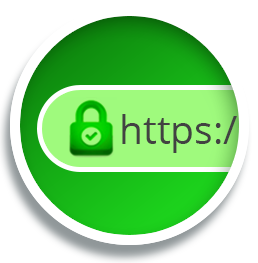 If you need also a SSL certificate and you want to use https protocol you can go on. Ok this is the last step but – before we can import the certificate and re-enable the Virtual Hosts – we need to create them. To do it we must go to www.sslforfree.com and begin the process. Follow the procedure so that the web page let you download the validation certificate and save them to the main folder of your web server. OK, OK, don’t worry. you just need to enter your server, locate the main web-server folder and create a sub-folder called “.well-known” (to create a folder in Windows starting with a dot, you have to put a dot at the end; so to create this folder you shall write: “dot well-known dot”). Inside this new folder create another one called “acme-challenge” and insert the downloaded files to it. Now the last and more delicate part: press the “download SSL certificate” to make the validation procedure start and test your QNAP and domain. If you did everything like I wrote in this guide the web site will create a zip file with the private key of your newly verified domain and the certificates, so you can import it into the QNAP. To do this, return on your QNAP web interface, go in “control panel” – “system” – “security” – “certificate & private key” and press “import”. Fill all the 3 fields with the files you just downloaded and press “apply”. Close and re-login. This part is optional, not everyone need or want to set up a WordPress (or similar) web page, so if you don’t need it you can skip it. Another step you should do is installing the plugin Really Simple SSL in order to complete the WordPress setup automatically and do not worry about any more settings. From now on, you can access your new web site and WordPress blog/activity simply by writing mydomain.com and the system will do the rest. 1. If you need, you can choose to change the original port for the transmission protocol http and https. Remember that if someone write in the browser address bar mydomain.com is using by default port 80 (or 443 if writes https:// before the domain name). So you need to use port-forwarding rules to set up into your main router. 2. If you already had an installed version of WordPress and you follow this procedure, you could be unable to access the WordPress main page because of Virtual Hosts activation and https ports redirection. If this is the case, you could install into the QNAP the pypMyAdmin application and login in it. Search the database used by WordPress (usually called “master”) and open it. Locate the table “options” (watch out that all the tables have a prefix managed by the WordPress installation, usually wp1_) and amend the two records pointing to the site, called: “siteurl” and “home”. Remember to put also https:// before your domain name.